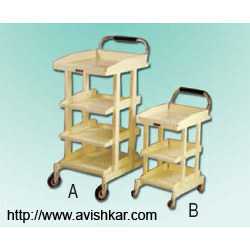 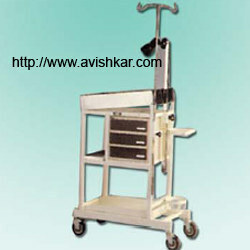 We offer different types of Hospital Furniture as per your specific requirements and at reasonable costs. 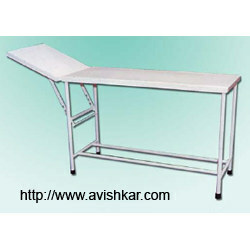 Our range of products is made from superior quality stainless steel top which is pretreated and epoxy powder coated. 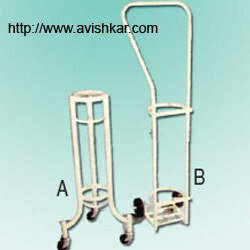 We take every possible measure to meet the unique challenges of each event and give best to the client. 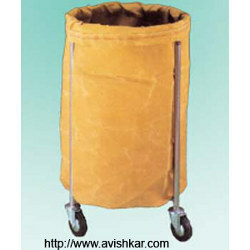 These are widely appreciated for features like compact design and sturdy construction. 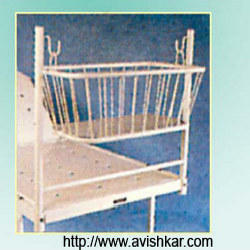 We are offering Pediatric Bed to the clients. 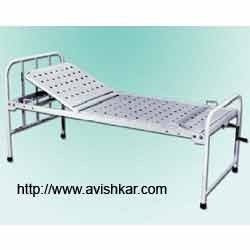 We are engaged in offering our clients with a qualitative range of Hospital Fowler Bed – Deluxe made from high grade material and highly acknowledge for features highly strong, consistent and comfortable. 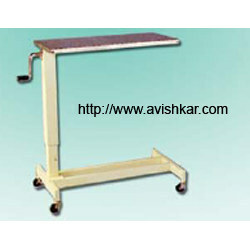 These are offered in various specifications to meet the requirements of our clients. 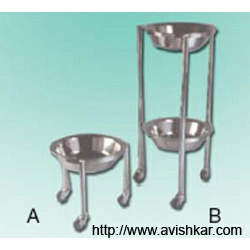 These are accessed at economical prices. 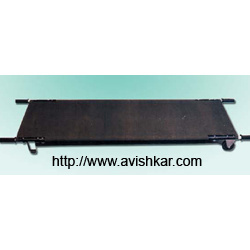 Our company is engaged in manufacturing and exporting of an unmatched range of Electric Fowler Bed which are designed and fabricated using quality materials and in accordance with the required industry standards. 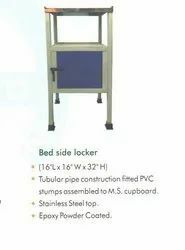 We also offer these beds in various specifications to meet the requirements of our esteemed clients from across the globe. 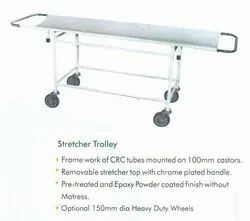 Ambulance Stretcher offered is not only light in weight but also a strong finish based structure and meets the requirements of precision mechanical transmission. 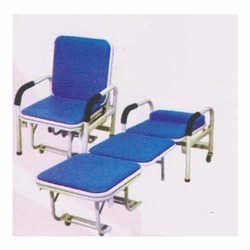 With provision of automatically folding it through left and right hand control handle, we make these available with quality aluminum alloy tubes with load carrying capacities of >= 120 Kg. 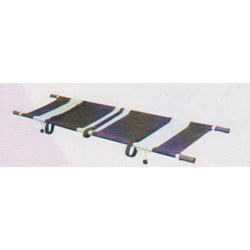 Further, durable castor support in sizes of 125mm also makes these deliver efficient performance support. 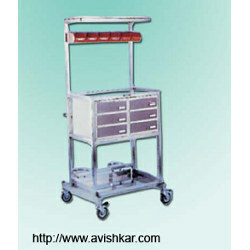 Finding use in areas like hospitals and medical emergency care centers, these can be provided in high position finish size of 1900 x 560 x 900 (LxWxH mm) and low position finish size of 1900 x 560 x 280 (LxWxH mm). 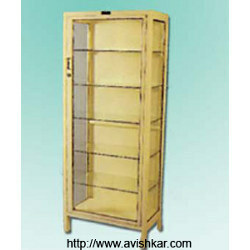 High Position 1900 x 560 x 900 (LxWxH mm). 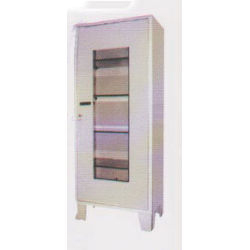 Low Position: 1900 x 560 x 280 (LxWxH mm). 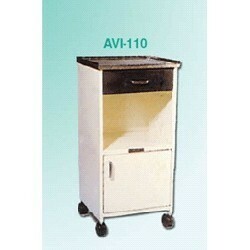 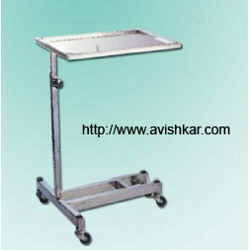 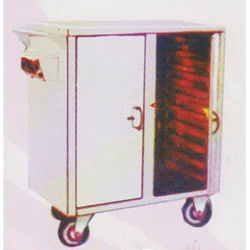 Our organization is counted amongst the most distinguished providers of Hot Food Trolley. 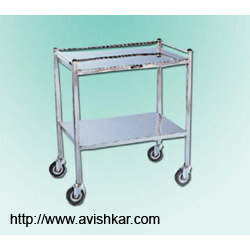 Range of Hot Food Trolley we offer is widely demanded in the industry due to their superior in quality and rigid in construction. 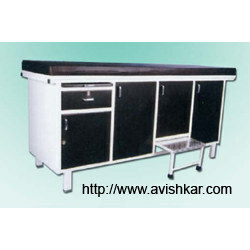 These ranges of products are developed by the team of professionals using top class components and latest technology as per the set industry norms. 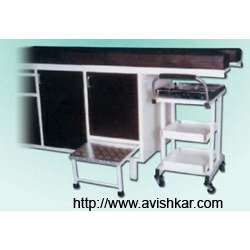 To assure its flawlessness finish, offered products are stringently tested on various quality parameters by our experts. 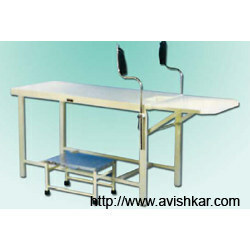 We always pay attention towards the standard of our entire products range and offer them at most reasonable prices. 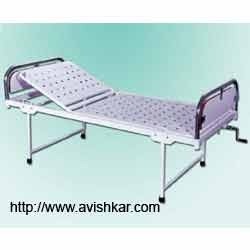 We offer a wide range of Hospital Semi Fowler Bed (Deluxe) specially designed for Accidental, Orthopedic and Postoperative section. 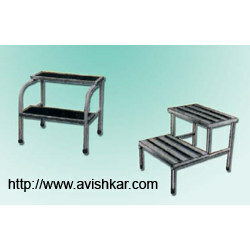 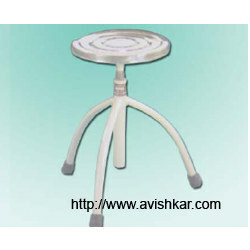 These are fabricated using quality materials and in accordance with international standards. 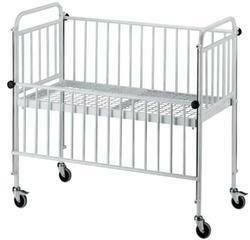 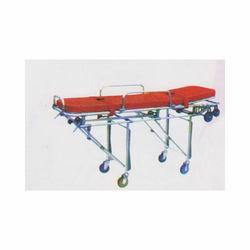 We offer these hospital beds are offered in varied specifications to meet the specific requirements of our clients. 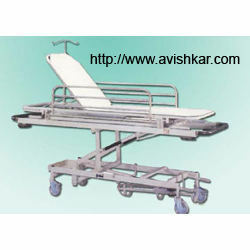 Attendant Bed offered comes in strong mild steel tubular frame work finish that is pre treated as well as epoxy powder coated so as to provide for optimum functional support in areas like hospitals and medical care centers. 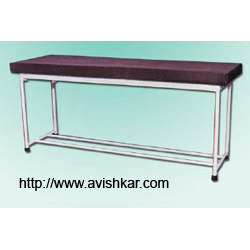 For comfortable usage, the top comes covered with thick Pu form mattress as well as rectangular pipe based frame work in size of 50x25mm. 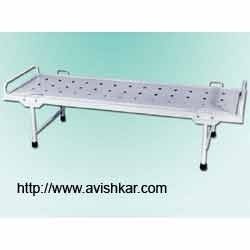 The use of superior grade mild stainless steel in its designing also facilitates inspection of patients at primary stage of illness as well as in processes involving treatment of outpatients. 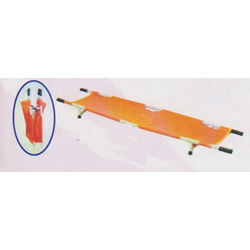 Some of its other features include perforated CRCA sheet support with mattress guards as well as “H” type legs on PVC stumps. 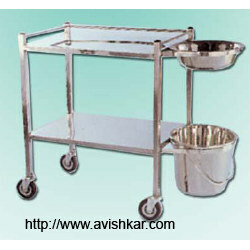 Stainless steel tray in head low position. 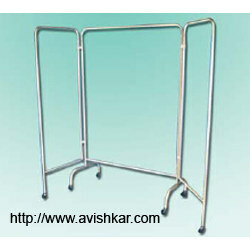 Frame : CRCA Sheet & Rectangular Tubes.